Available date: January 27, 2016 ORDER NOW! 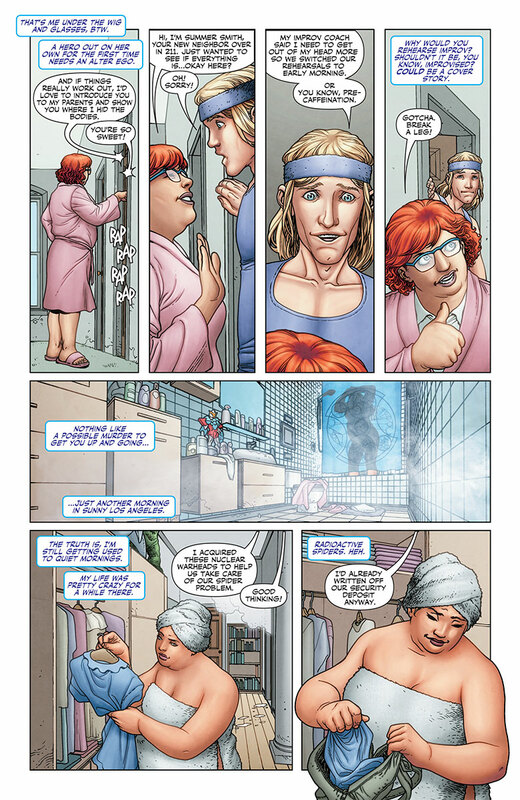 If you missed “Harbinger” in the 1990’s (as I did), and didn’t see Faith’s one shot (as I didn’t), then this character is completely new to you (as it is to me). 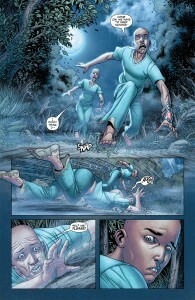 Thankfully, all of her necessary back story is given so you have a basic idea of who she is to start. 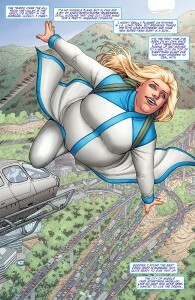 This story pulls her away from being on a team, and just deals with Faith being the awesome superhero that she is. 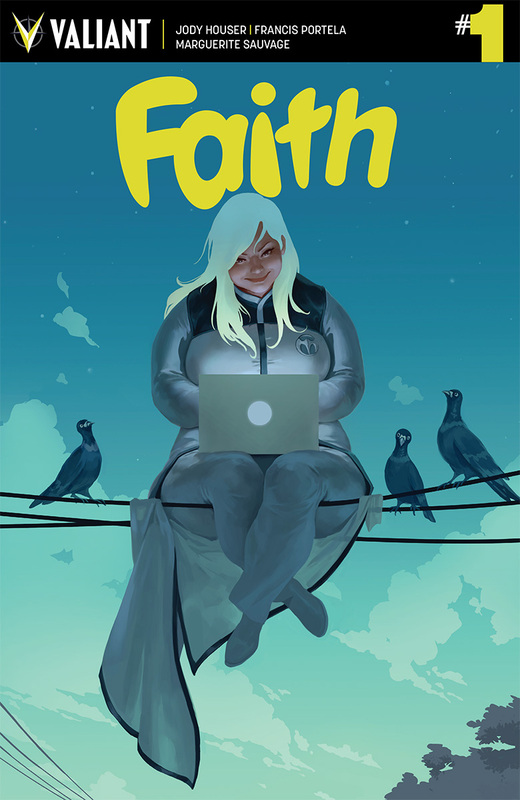 Jody Houser’s story pulls you right in to Faith’s world – new secret identity as “Summer Smith,” new reporter job with an internet news feed, and a new apartment in Los Angeles with really thin walls. She has contacts to help her with tech and a police scanner to let her know where the trouble is, and she’s more than equal to any number of thugs and bad guys. The dialogue is smart, and her internal monologue for both real life and daydream life is rich and funny. Faith lives and breathes as a real person through Houser’s words. 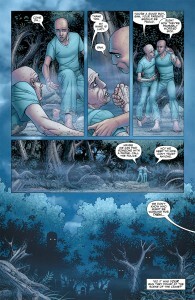 The art by Francis Portela shows Faith as strong and decisive and compassionate, all very heroic. Since Faith’s main superpower is flight, there is a lot of movement shown – she doesn’t always take the same pose when she flies, which is something you wouldn’t think of changing unless you were doing it. 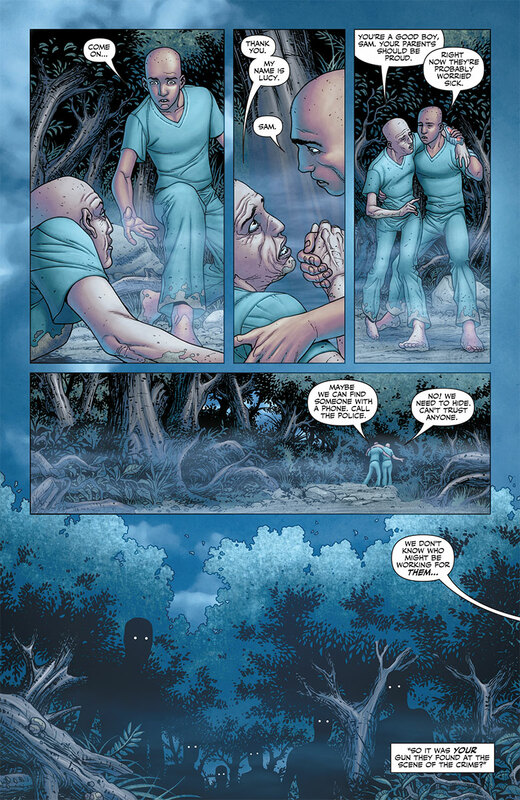 The art is thoughtful and so well-executed. The day-dream sequences with art by Marguerite Sauvage are beautiful and light, with everything a little bit exaggerated (as opposed to the situations that are COMPLETELY exaggerated!) and a little idealized, just as your dreams should be. Let’s address the elephant in the room. 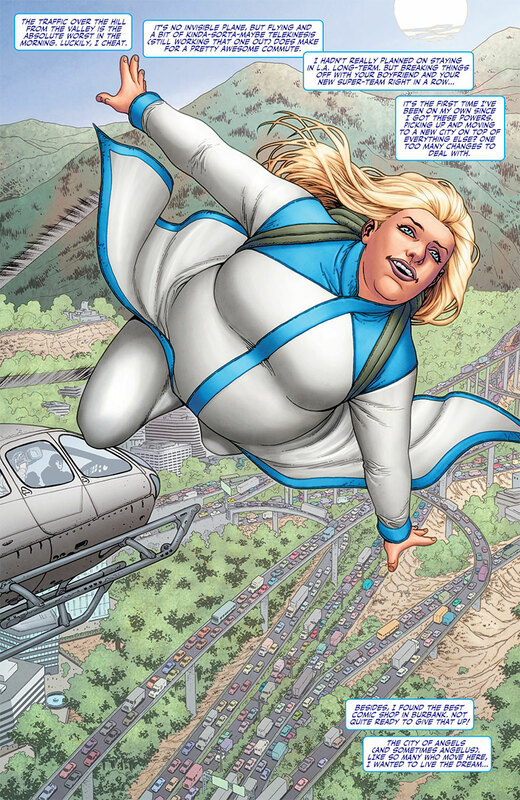 This book is really being hyped in the media as “Faith, the Plus-Sized Superhero,” and as a member of the non-petite sorority, I was ready to see her really taken to task either as a hero or in her secret identity for that fact. I searched for the language that I’m used to hearing every day with references to her weight, size or curves. 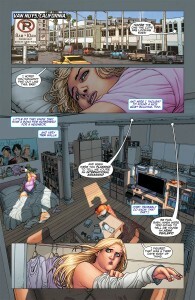 The genius of Jody Houser is that she didn’t take that easy route. It’s not ever brought up. The bad guy calls her “blondie” right before she throws him out the window. No hate-language ever entered the equation, either from Faith or from anyone interacting with her. If you replaced the artwork of Faith as she is with a more traditional-looking blonde superheroine, none of the dialogue would need to be changed. 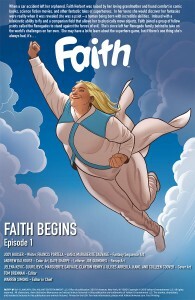 Faith is a person, not a fat person. Since it’s never brought up in the book, this is the only time I will ever address it, but….Bravo. You make me feel good about being me, and I know there’s a superhero in here somewhere just dying to get out.